The Gambang Semarang Dance performance at Sobokartti, performance by Gambang Semarang Art Company on 2014. On Thursday, 10 December 2015, I was attended the discussion held by The Java Institute, a research group about Java Island as economy, ecology, social, natural resources and cultures entity, based in Catholic University (UNIKA) of Soegijapranata. 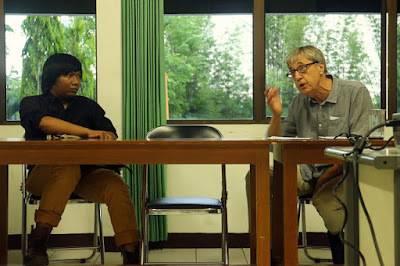 The theme of the discussion is about Thomas Karsten, the prominent architect from the colonial period, delivered by Dr. Joost Cote, currently a academician in Monash University with a primary research interest in early twentieth century history of Indonesia. Its not my first time following his lectures, but that day, its just a small group of discussion, so its better than before. 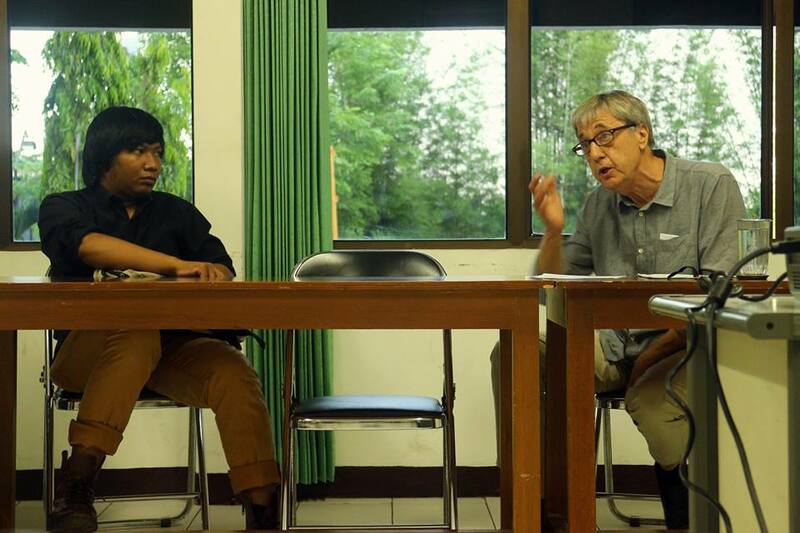 Dr. Joost Cote, explained about the creation process of Volkstheater Sobokartti, as a people’s theatre, giving an alternatives space for the indigenous people of Semarang specifically, to enjoy the Javanese cultural performance. De Volkstheater Sobokartti, or now simply known as Sobokartti, is really unique because its combined the Javanese Pendopo design, a place to performing traditional dance with the European style theatre. Here, Karsten as a brilliant architect were combined it and this is were built in the situation where the economic condition in Semarang were growth well. A lot of new middle class people, a lot of residencial area were built and even the kampong itself were revitalized through the Kampoeng Verbetering programs, where the Gemeente (city council) providing the basic needs for the residencial area like drainage system, sanitation, and access to fresh water. Thus on that condition, its created people demand to developed their own culture, the Javanese culture. They conscious as the Javanese people, even in the harbor city like Semarang that actually less having strong cultural roots, its supposed to preserve their own culture. Commonly, the people thinks those people in Vorstenlanden area like Sultanate of Yogyakarta, Principality of Pakualam, Principality of Mangkunegara, and Sunanate of Surakarta having strong cultural roots, because its still in form of kingdom with all of those manners. Thomas Karsten really concerns about Javanese culture. He even having really strong relationship with Mangkunegara VII, the ruler of Principality of Mangkunegara. Karsten designed the pendopo in the front gallery of Mangkunegara palace, that supposed to be the biggest Javanese Pendopo in Indonesia. Interestingly, according to Dr. Joost Cote, for Karsten all of the Javanese tradition developing in the Vorstenlanden is done, its already end. 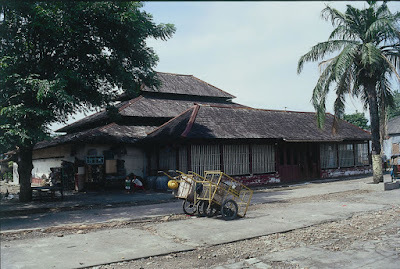 In Vorstenlanden they have the Keraton (Kingdom Palace), and the tradition only developing there, so Karsten think the Javanese civilization is at stake. So that’s why through the people in Semarang Kunstkring (the Semarang Art Society), with all of the fellow Javanese that having the same idea, the Sobokartti began to planned. In December 9th 1920, its began to created the Volks Vereeniging Sobokartti, a committee to built Volkstheater Sobokartti. The prominent figure behind it beside Karsten is Mangkunagara VII and Dr. Radjiman, from Boedi Oetomo Organization. Even Karsten already designed its Volkstheater in 1919, but it take a long time before its officially inaugurated on 1930. The design of the building also different from the beginning due to lack of funds. But there’s an interesting story, while Pak Tjahjono Rahardjo, a lecturer from UNIKA stated that as He remember from his grandfather, at that time amongst the Javanese people, there’s a opinion only a walthy people could afford performance in Sobokarrti. Well, seems the idea of the inisiator isn’t applied well. 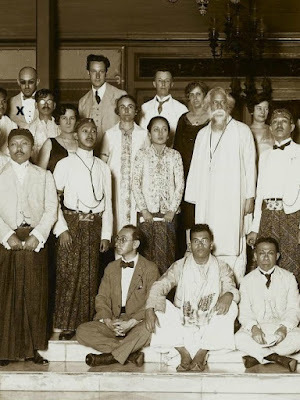 Maybe because of its design, that combined the Javanese Pendopo and European Theatre, because none of partition in Javanese Pendopo, its open so that everybody could enjoy the performance. But the Sobokartti is different, its closed, it have a tribune, and also have a ticketing counter. Maybe because of that differences, people just don’t get used to it. Its even happens nowadays, Pak Tjahjono also a activist in Sobokartti, and every He and His fellow in Sobokartti creating something inside, less people coming, but its different when they held event outside, in the outer pendopo that still in form of Javanese Pendopo, more people coming. De Volkstheater Sobokartti, taken in 1993.